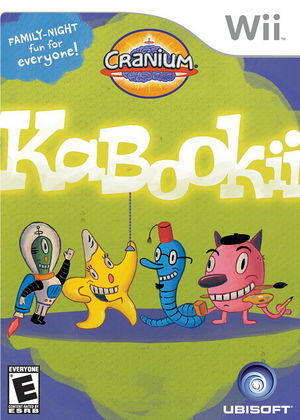 Cranium Kabookii is played with a single Wii remote, and allows up to 4 teams to play and challenge each other in 15 puzzle games in the 4 categories used in the board game. In addition to using the Wii Remote, players also use Red Decoder Glasses, which come with the game. These glasses allow one player to see clues on the TV screen without revealing the answers to the other players in the room. The graph below charts the compatibility with Cranium Kabookii since Dolphin's 2.0 release, listing revisions only where a compatibility change occurred. This page was last edited on 7 January 2018, at 05:10.